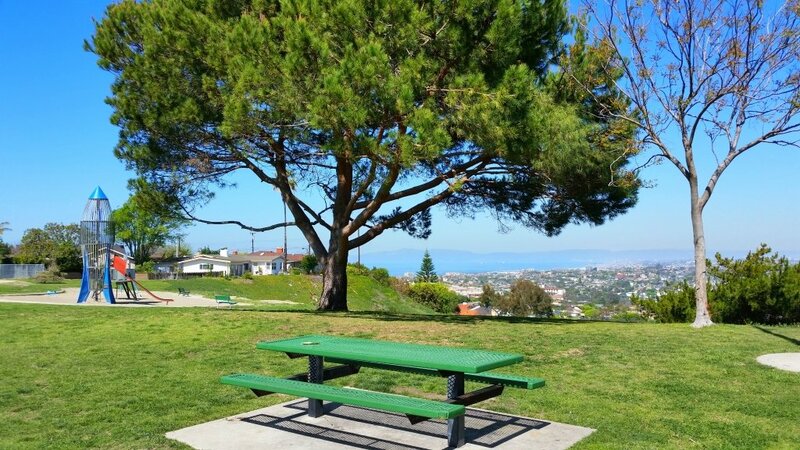 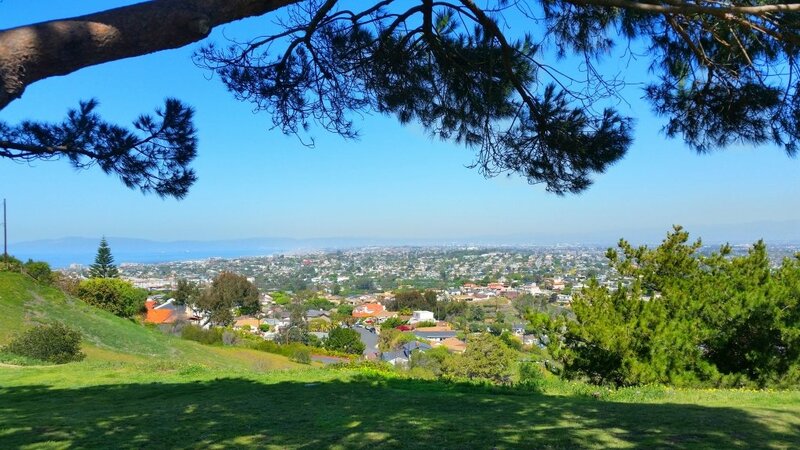 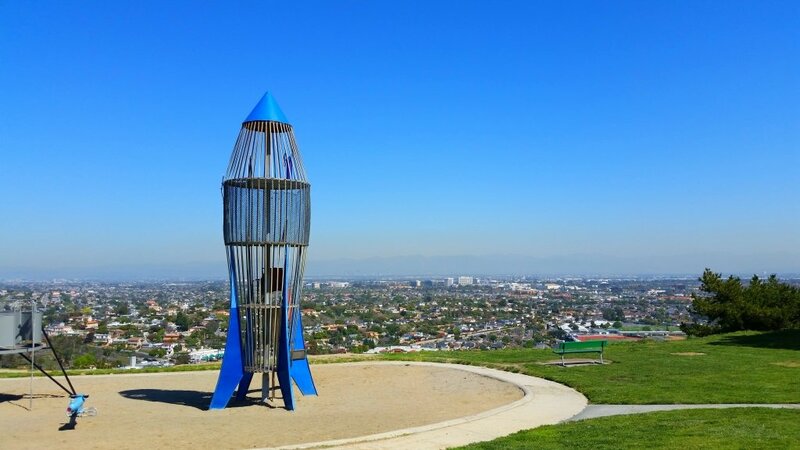 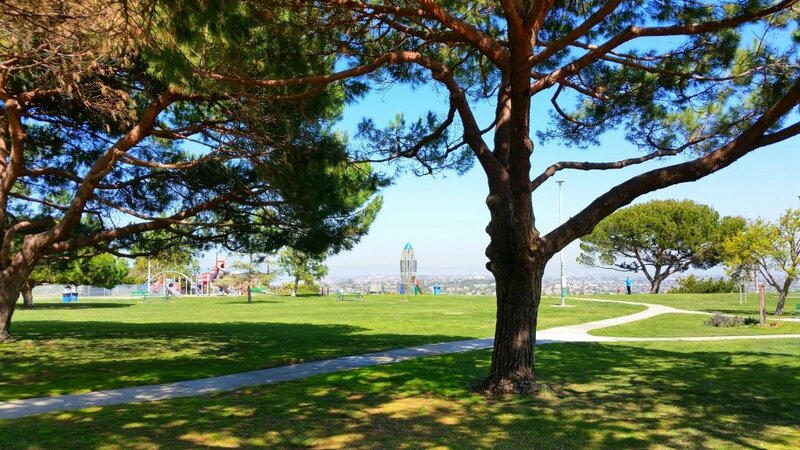 Los Arboles Park (aka Rocketship Park) is located on 6.3 acres in Torrance, adjacent to Riviera Elementary School. 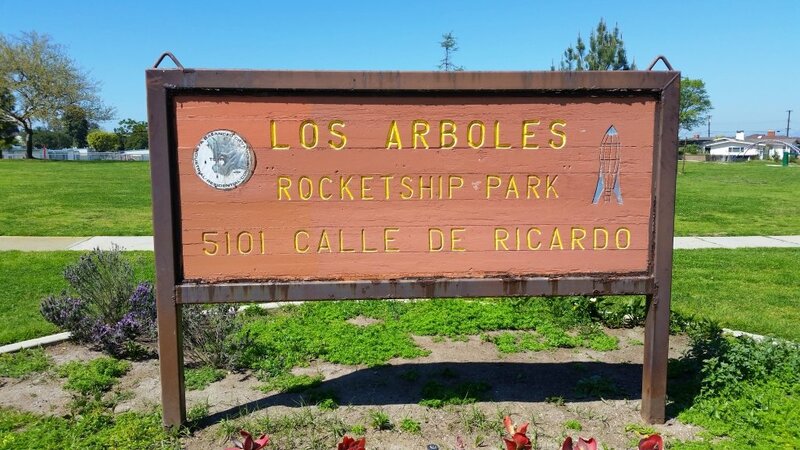 The name of the park, Los Arboles, means “the trees” and was chosen in 1956 by local school children after the land was donated by developer H. Kessel. 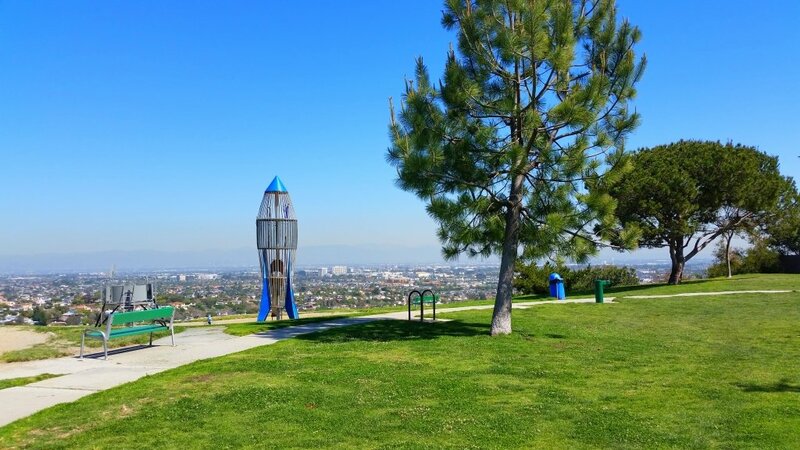 The groundbreaking took place March 26, 1960 and was completed January 31, 1964. 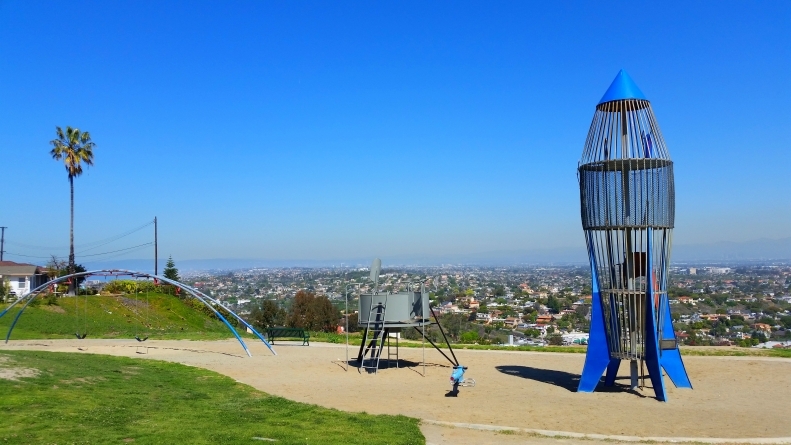 Park amenities include play equipment, a swing set, and of course the four level Rocketship. 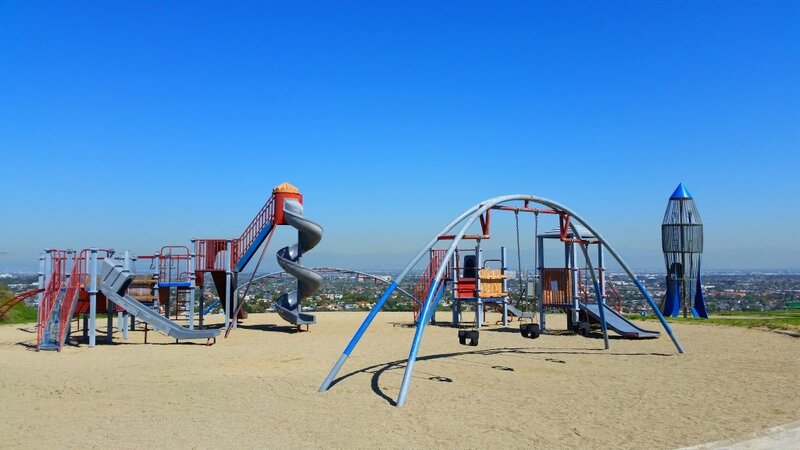 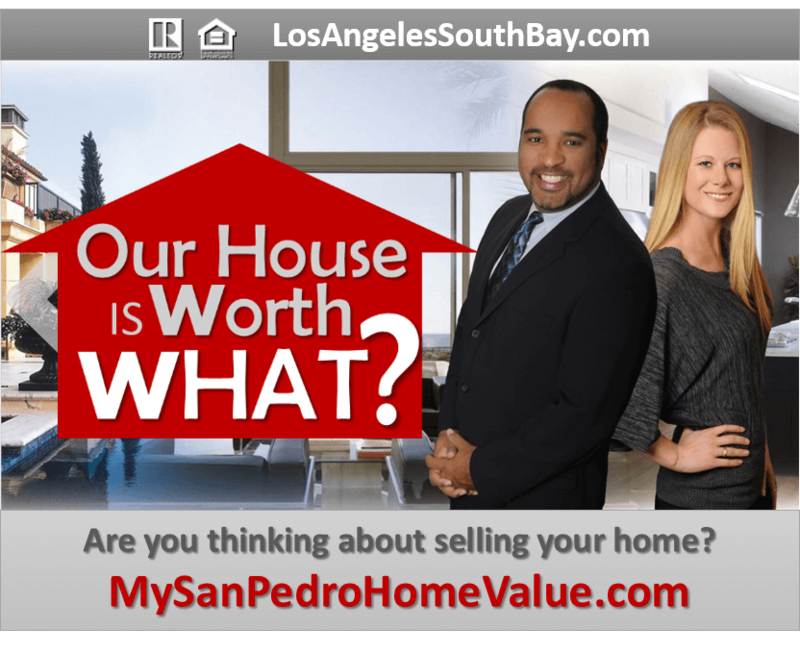 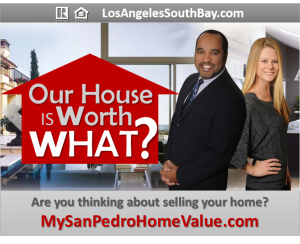 Possibly the best feature of this park is the panoramic view of the LA basin; on a clear day spanning as far as the Santa Monica Bay to the Getty Center, the Hollywood sign, and Griffith Park Observatory.